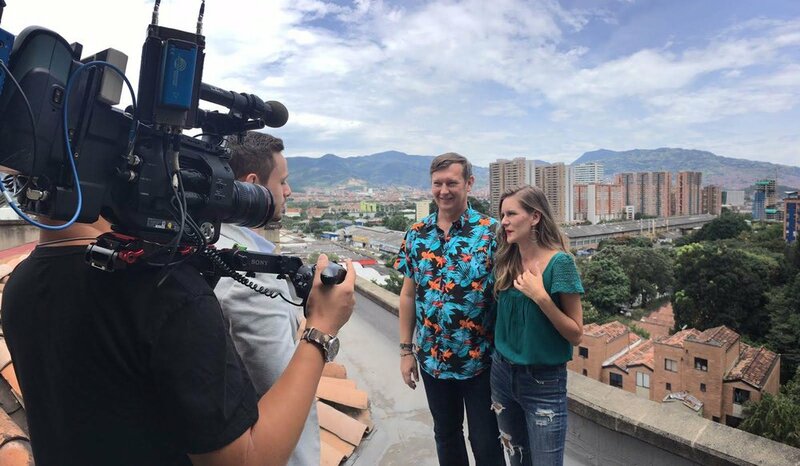 Last summer, HGTV came out to help our founder, Ashleigh, and her family find a home in Medellin, Colombia. Our story, process, and a few of our products were featured on the show, check out the episode and shop the styles below! Ashleigh and her daughter chat during an on camera interview. Post filming with the local leather shop we use for our mochila bags. 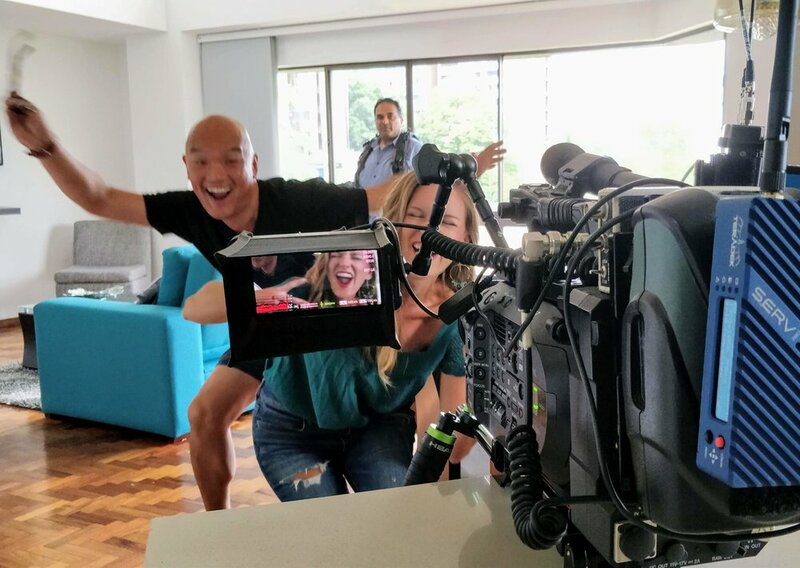 Preparing to film around town in Medellin.